Pizza Hut Bistro at Robinsons Galleria is quite special to us because this is where our son was baptized five years ago. I was working at home last Sunday, and since we didn’t go to the mall the day before (Saturday is our mall day), we decided to go out and have dinner instead at Pizza Hut Bistro. Hubby said this was delicious! The roasted bell peppers were crunchy and juicy, and I really liked them that way. However, there’s something about this pizza that made it a bit salty, but I wasn’t sure exactly what it was. I love shrimp and mushrooms in my pasta, and the garlic-butter sauce completes this dish. I’m giving this a thumbs-up! A generous serving of spaghetti sautéed in extra virgin olive oil garlic, anchovies and fresh basil that packs a light spicy taste! Hubby preferred this over the Spaghetti Shrimp Garlic and Mushrooms. Our son, on the other hand, didn’t like it because it’s a bit spicy, which was actually what his Dad liked. Baked chicken wings, served with cool garlic dip. Choose from New Orleans or BBQ flavors. If you’re getting tired of ordering fried chicken, then you should try this. It’s delicious, and it’s guilt-free because it’s baked! We had the New Orleans flavor. Our plates were swept clean before we left, an indication that the food was yummy, plus we were really very hungry then. 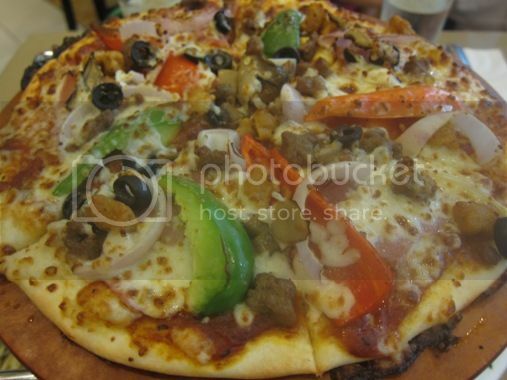 This entry was posted in American Cuisine, Food Trip Friday, Italian Cuisine, Pasta, Pizza, Pizza Hut Bistro, Restaurant Review, Robinsons Galleria. Bookmark the permalink. i read somewhere that roasting bell peppers truly brings out the rich taste of the peppers. By the way, thanks so much for the comment you posted on my “Potato Wedges” post, I appreciated your tip about preventing emotional eating, and because I have high LDL and low HDL.. I am really trying my best to make myself healthy. 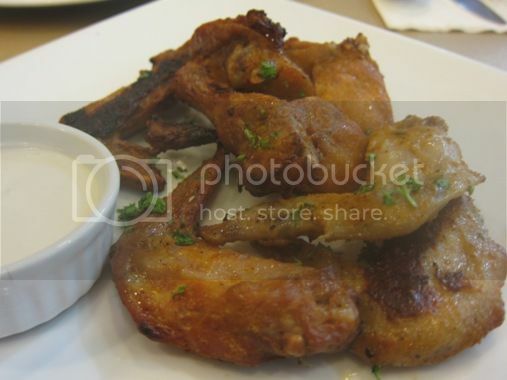 I miss pizza hut; wala kasi dito nyan eh :-); yung chicken wings look yummy, too! the pizza looks good! it’s been a while since i was at Pizza Hut. Yellow Cab kami when craving for pizza. :p haven’t tried their pasta dishes yet. super yummy ng aglio olio!! 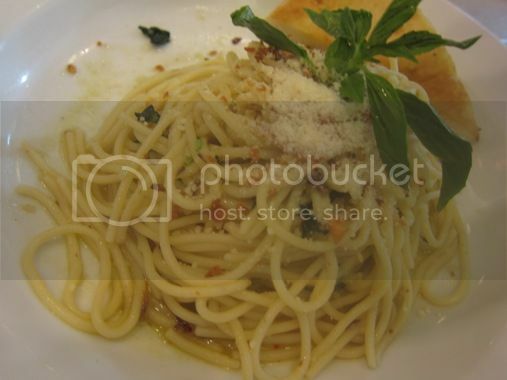 i so love Pizza Hut’s Aglio Olio pasta…in fact, its the reason why I still go back to Pizza Hut..
Ang sarap!!! Now, I’m craving!!! 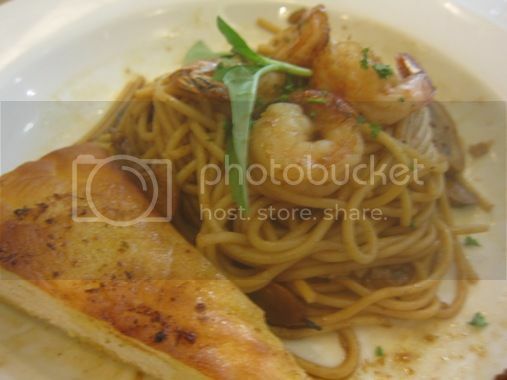 I love their Spaghetti with shrimp! my golly! nakakagutom…would love to try lahat…ehehhee!